Interested in a career helping others? Maybe we can help by giving you some insight into our Respiratory Care program. What Does a Respiratory Care Practitioner Do? Let’s start at the beginning: what does respiratory care entail, exactly? 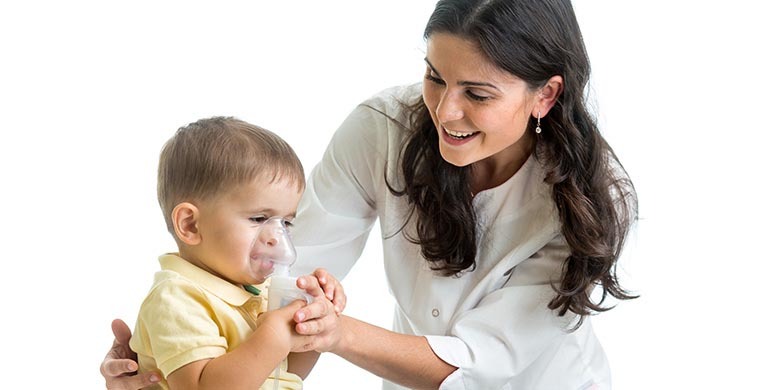 First and foremost, respiratory therapists work with physicians to create and facilitate treatment plans. Specifically, they focus on patients who have trouble breathing. Their patients might range from people with a chronic respiratory disease (like asthma or emphysema), premature infants with undeveloped lungs, emergency care involving drowning or heart attacks, and more. Therapists might work in a number of different settings, all of which involve different individual skill sets. For example, they may work in an outpatient doctor’s office or perform diagnostic testing. It could also involve working with a patient in the ICU, doing home care or even research. You can become a respiratory care therapist with an associate degree or, more specifically, in about five semesters as a full-time student in the Respiratory Care program at El Centro. Graduates of this two-year program will then be eligible to sit for the entry-level certified respiratory therapist credentialing exam and the advanced practitioners’ exam offered by the National Board for Respiratory Care. The National Board for Respiratory Care is the main certifying body for respiratory therapists, and you will need to pass the exam in order to get your certified respiratory therapist credential and start practicing. If you score high enough on the CRT or as you continue to gain experience and advance, you may become eligible to take the test for the registered respirator.y therapist credential. In the state of Texas, you will also need to apply for your respiratory care practitioner license. Respiratory care therapists can start working in the field with an associate degree, though it is recommended to complete a bachelor’s degree as well. You’ve got my attention! Tell me more about studying respiratory therapy via email. Registered respiratory therapist jobs in Dallas pay a starting salary of about $42,000, with 8.75% expected job growth over the next three years, compared to an expected 5% growth nationally. So you think you’re interested in health care, but you’re not sure on the specifics? Check out our other nursing and health care programs on our website, or read some of our other blog posts about our nursing and health care programs. Our class schedules are flexible, with start dates throughout the year for things like flexible terms, fast track, distance learning and more — so it’s never too late to apply and register at the colleges of DCCCD. Published inCreditStudent Success StoryWhy DCCCD?